Hi, we are Roger and Beth Kalata, your hosts at the scenic Inn on Lake Wissota near Chippewa Falls and Eau Claire, Wisconsin. We purchased what was originally named Pleasant View Bed and Breakfast in 2014, in pursuit of Beth’s dream to own and operate a luxury Bed and Breakfast. At that time, Pleasant View had been open for business for more than 18 years on these beautiful lake shores. We’ve recently renamed the property Inn on Lake Wissota, and look forward to continuing our long-standing tradition of warm, comfortable hospitality. Like many people, we have visited a lot of B&B’s over the years, and have enjoyed getting to know innkeepers and exploring new locations. We relocated to the Chippewa Falls/Eau Claire area to embark on this new adventure, and we are loving it. Beth brings with her 20 years of accounting experience, and Roger continues to work for the Andersen Corporation. We are excited to be part of the Chippewa Falls and Eau Claire communities and everything they have to offer. The area itself was a big part of our decision to relocate, and we feel it will be a vital component to your enjoyment at the Inn on Lake Wissota. Chippewa Falls and Eau Claire are vibrant economic communities with a variety of industry. Tourism in the Chippewa Valley continues to grow as well. The area has plenty of outdoor recreation, wineries, breweries (particularly Leinenkugel), art, history and shopping to enjoy. Of course, our main goal is to offer bed and breakfast guests outstanding value and top rated customer service.  We have certainly enjoyed spending time with the guests that have come through our doors, and are especially looking forward to meeting future guests who come for a relaxing getaway or western Wisconsin business trip. One look at our scenic location and top rated reviews, we’re sure you’ll want to start planning your stay. Booking your room online makes this easy! Once you’re here, we will make sure you feel comfortable and cozy, and are having fun throughout the entirety of your stay.